In the case of a known or suspected concussion or an acquired brain injury, patients at the Sports Concussion Institute will be assessed and treated by licensed neuropsychologists, board certified physicians, and certified athletic trainers. These individuals have had extensive experience in the field of traumatic brain injury and concussion diagnosis, management and community education. At SCI, we see athletes of all ages and levels of many different sports, and we also assess and manage head injuries received outside of traditional athletics (e.g. 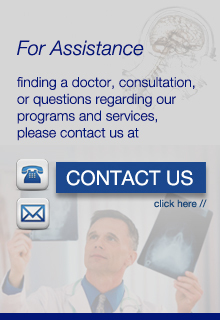 automobile accidents, falls, neurologic events such as stroke or hypoxia, etc.). Depending on the nature of the injury and your evaluation needs, the assessment may take anything from one hour (involving an interview and neurocognitive screen) to multiple hours spanning several days (more typical in cases where the injury was more severe or experienced further back in time and which requires longer-term treatment, accommodations, or rehabilitation). Regardless of the type of injury, our primary goal is to return you back to play, school, work, and life as quickly and safely as possible. Athletes are in a unique situation, particularly youth athletes, because they are more at risk of receiving multiple concussions in a short period of time. The Sports Concussion Institute has developed the “Prevention/Intervention Program” to help address these unique challenges. The multiple phases of this program include Education & Awareness to reduce the quantity and risk of concussions, Baseline Testing programs to more accurately manage sport-concussions, a multi-disciplinary approach to Clinical Care, and gradual Return to Play protocols. If you would like to schedule for an SCI staff to provide outreach education to your school, schedule a baseline test, or post-injury concussion management, click on this link to contact us today!